With an amazing E3 showcase, Bethesda’s DOOM is up for big bucks as the game hits the shelves. 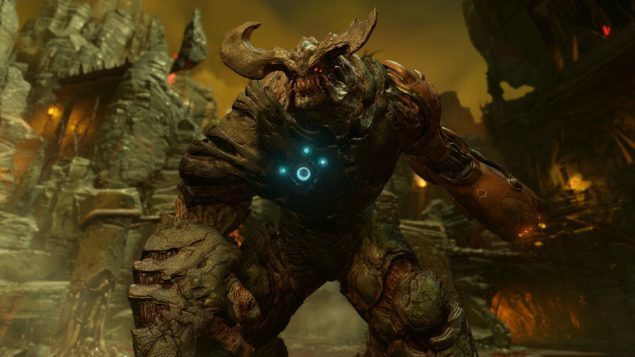 DOOM’s gameplay amazed a lot of people at E3 and in the eyes of many, the game did justice to a title that introduced FPS to the gaming world a little more than a decade ago. The popularity of DOOM attracted a lot of gamers to show off their Photoshop skills and even though id software is doing a pretty good job with the upcoming reboot of the main series, you will love the way DOOM looks after removing some filters and editing the game a bit. You can check them out here. The executive producer also commented on the game locations they’ll be hosting in the upcoming DOOM. He mentioned that they will be much more varied than those in the previous versions of DOOM, adding further that the game itself is known for its horror elements and will have a much diverse rather than a linear game plan. That is all there is for now. Stay tuned for more news on id Softwares upcoming DOOM and do share your views with us in the comments section.